Carl has been in sales or sales management or a business owner since 1980. 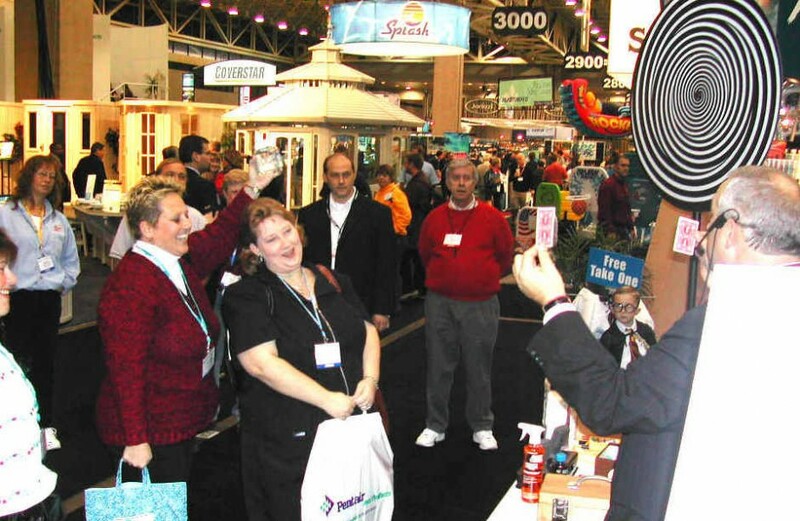 He KNOWS the sales process and as a professional entertainer he knows how to combine those skills with his other skills to get RESULTS at Trade Shows. He fully understands that is job is to get results for you! Your message is professionally woven into his attention getting, funny, memorable presentation. YOU are the star. YOUR COMPANY is what he makes everyone focus on. Make no mistake, hiring an entertainer who is not a salesperson is a huge waste of your financial resources. Regardless of what you pay that person, it's too much. However, when you hire Carl, you are hiring a sales pro with the experience, skill and understanding to get YOUR job done. You will be very happy with the results he gets for you, or you don't owe him a penny. Please call Carl at 214-578-1601 or email him at carl@carlejones.com to find out how his decades of experience in sales and getting the job done can be put to work for YOU!